Cape Town does not disappoint. 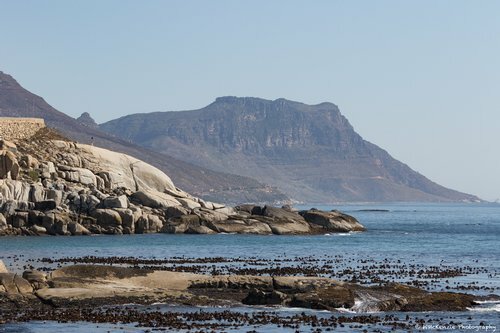 The adventure you dream of, from reading novels to the history of its past and amazing wine country.You must drive to Chapman's Peak on the western coast, over to the east side and down to the Cape of Good Hope. It is the most thrilling drive, with over a hundred hair pin turns. The geology is remarkable to see and the vistas breathtaking. I think this drive has to be one of the top ten beautiful drives in the world. 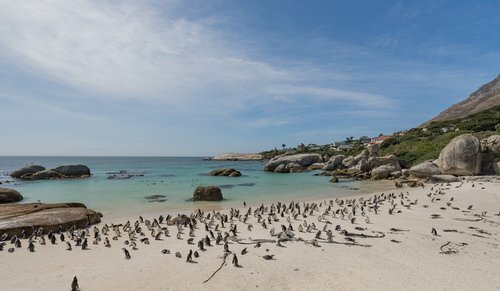 Stopping along the way to see the African Penguins at Boulder Beach is so much fun. However, it is sad to think these African Penguins are expected to disappear with 15 years. They have become very threatened due to competition for commercial fisheries for the pelagic fish prey and pollution. 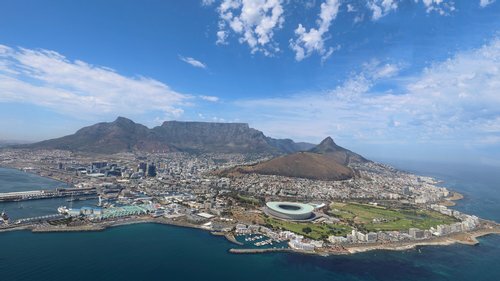 Cape Town itself was surprisingly affordable and if you like wine, you can't be in a better place. 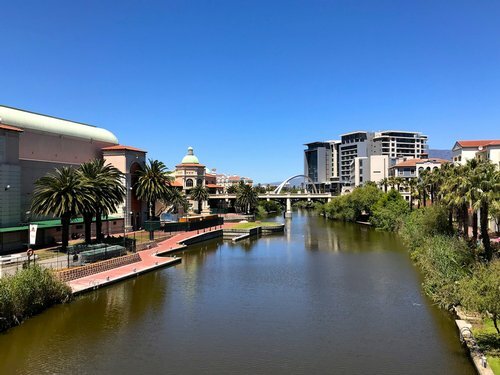 There are many parts to the city to explore and in my 6 days, I didn't really see it all. All the reason to go back someday. The Kirstenbosch Gardens is a must, especially if you are a bird lover. I could have spent days just photographing the birds. The Waterfront, of course, is delightful. Right off the start, we took a helicopter ride over Table Mountain. This was a good idea because weather prevented us from going up the cable car to Table Mountain. I didn't feel I missed out because I saw the same views from the helicopter. It seems all the hotels have shuttles to wherever you want to go. Upon return we stayed at Century City one night so I could go birding at Intaka Island. This was a lovely area as well, situated in the wetlands. Again, we also had a very reasonably priced stay at an excellent lodging - http://www.islandclubhotel.co.za/ . There is a fantastic shopping mall there and we were able to get some last minute shopping in before leaving Africa.